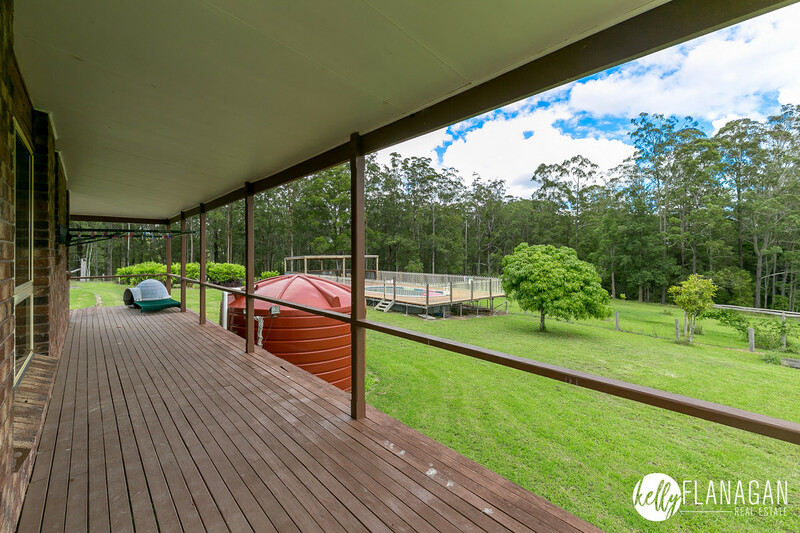 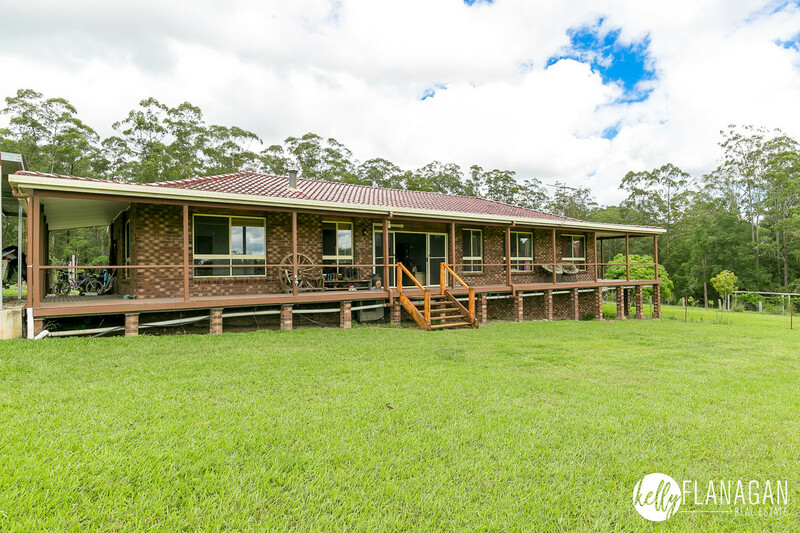 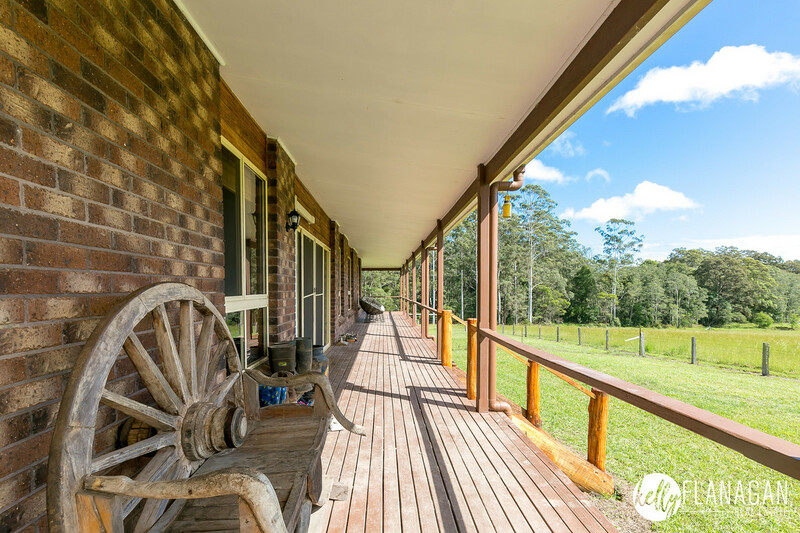 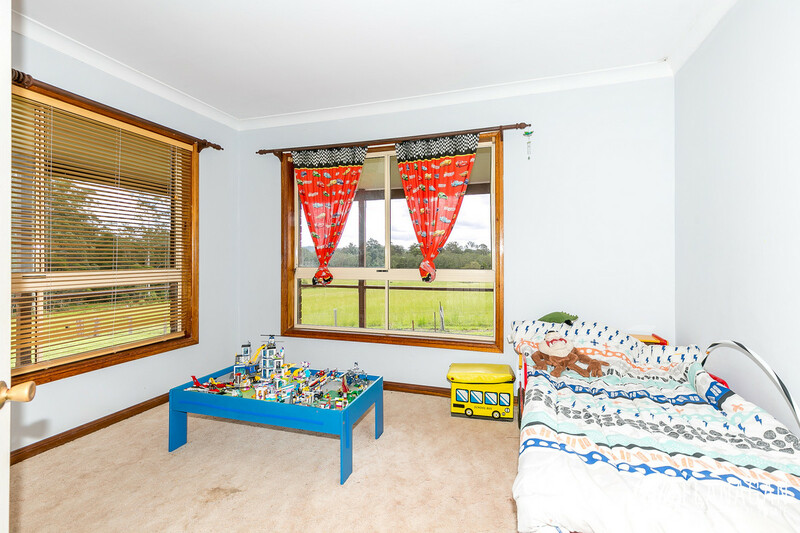 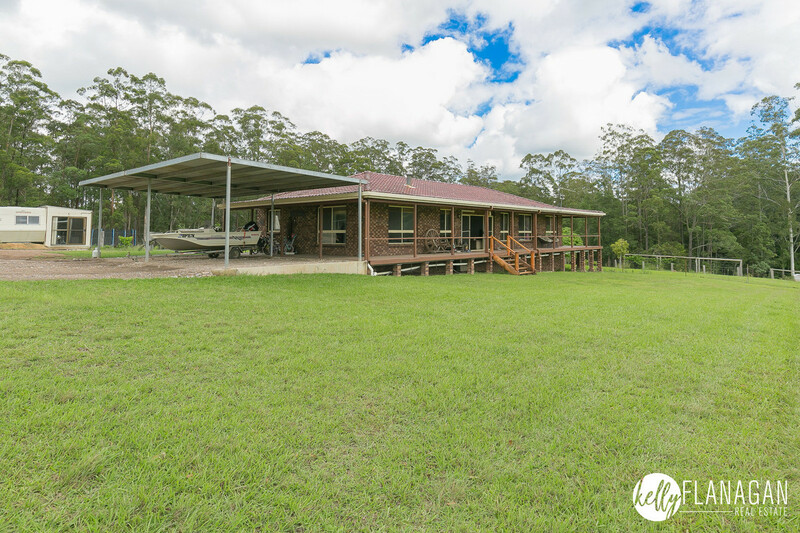 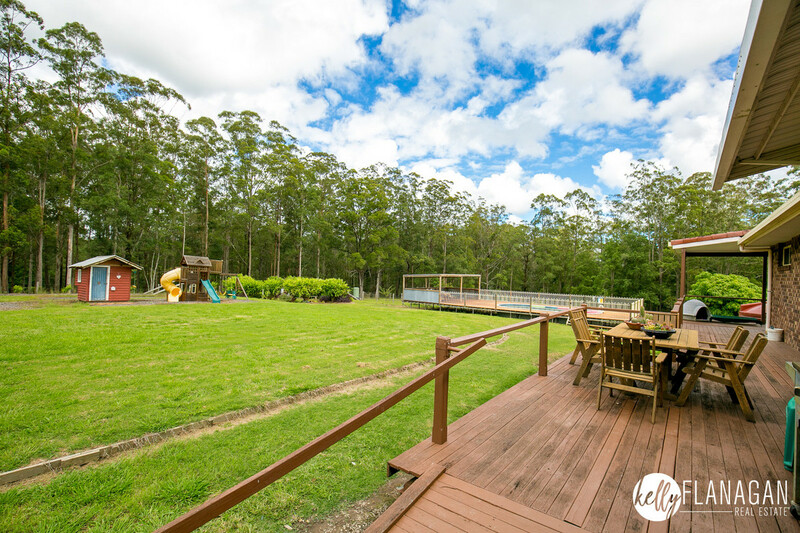 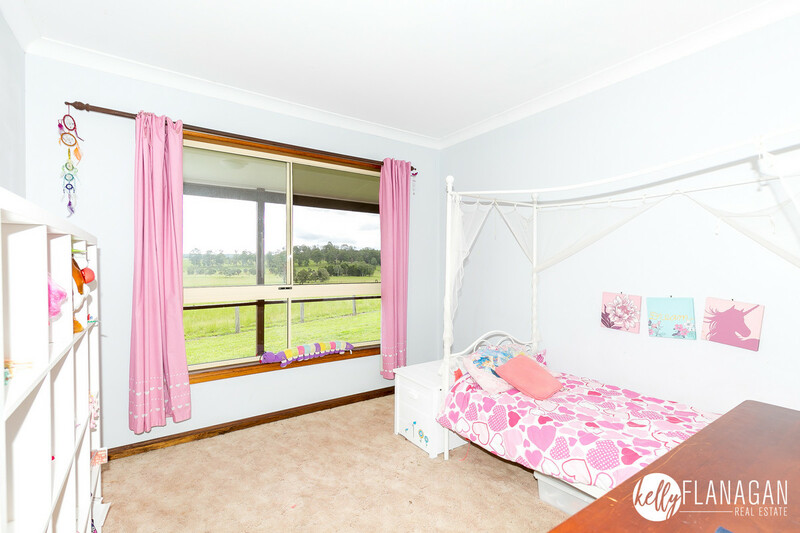 Big Brick Home, Views, Pasture, Bush, Close To Town, Creek Frontage - Bordering STATE FOREST - 41 Ha. 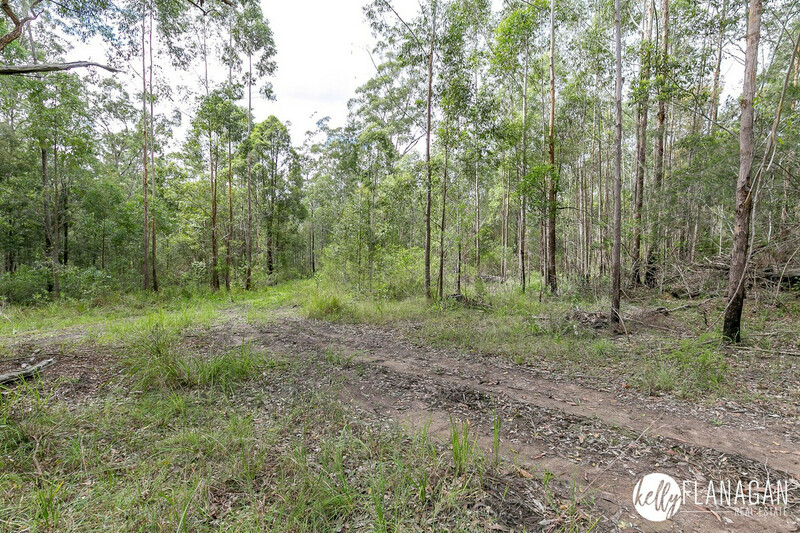 (102Ac). 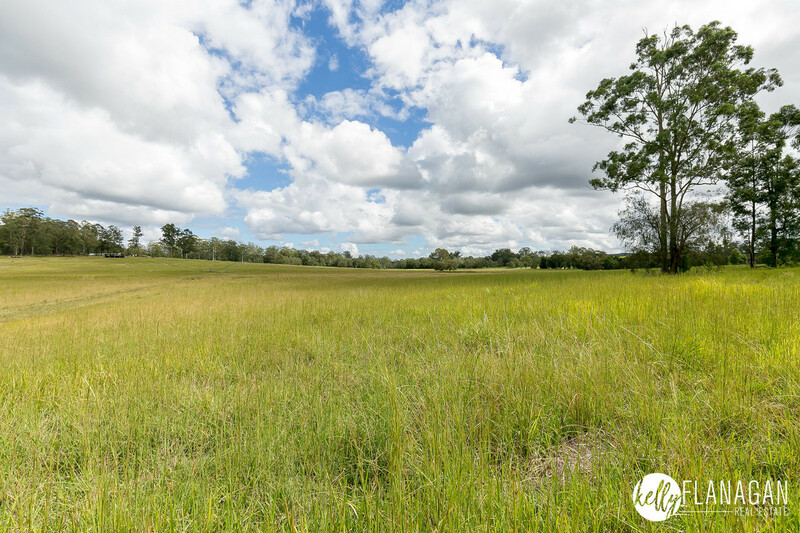 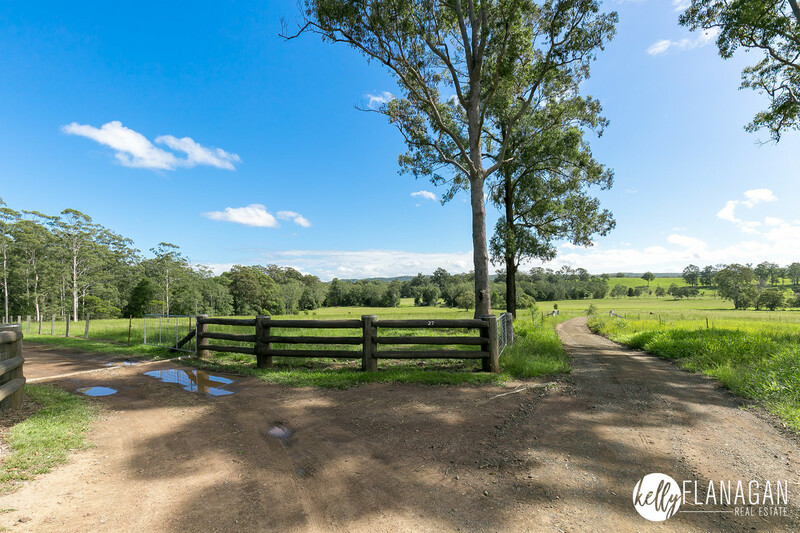 This 41Ha (102Ac) approx block has it all: proximity to town and services, yet privacy from the world at large, stunning scenery, lush pasture land, bushland, hills, creek flats, creek and a magnificent brick home. 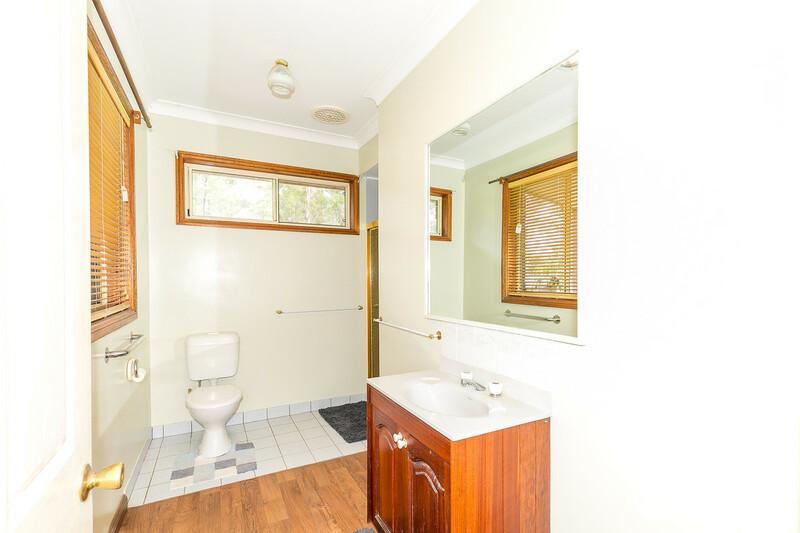 ACCOMMADATION: 4 bedroom, 2 bathroom open-plan brick and tile home with full wrap-around verandahs. 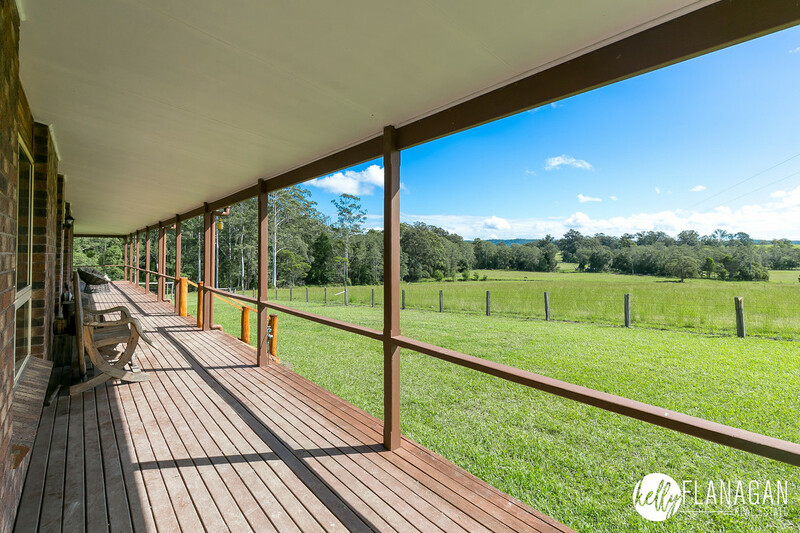 The home is set perfectly to the north east and takes in a most spectacular view indeed – simply heavenly. 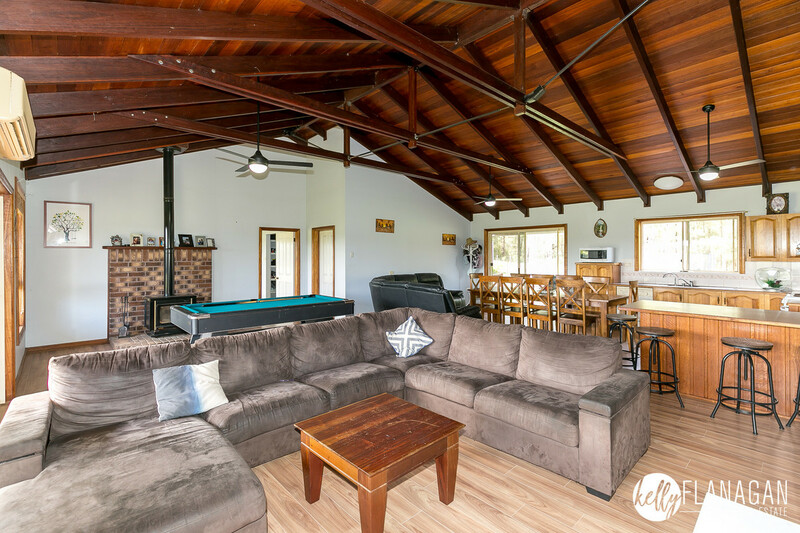 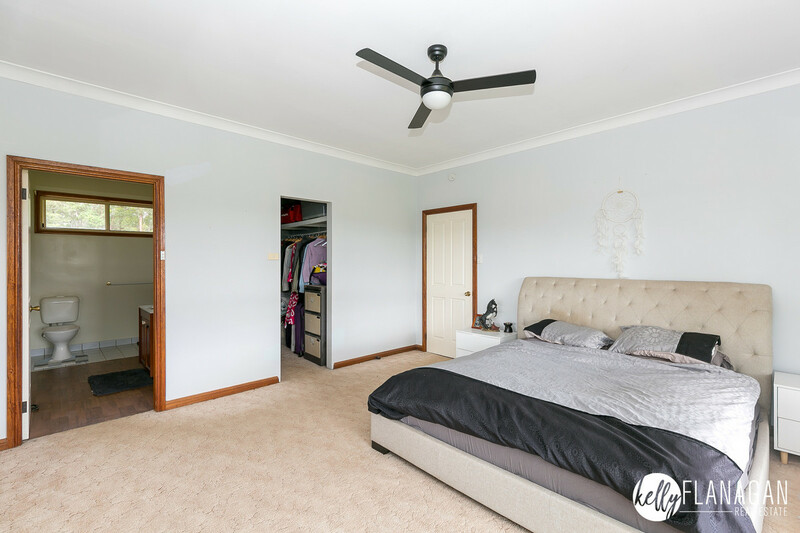 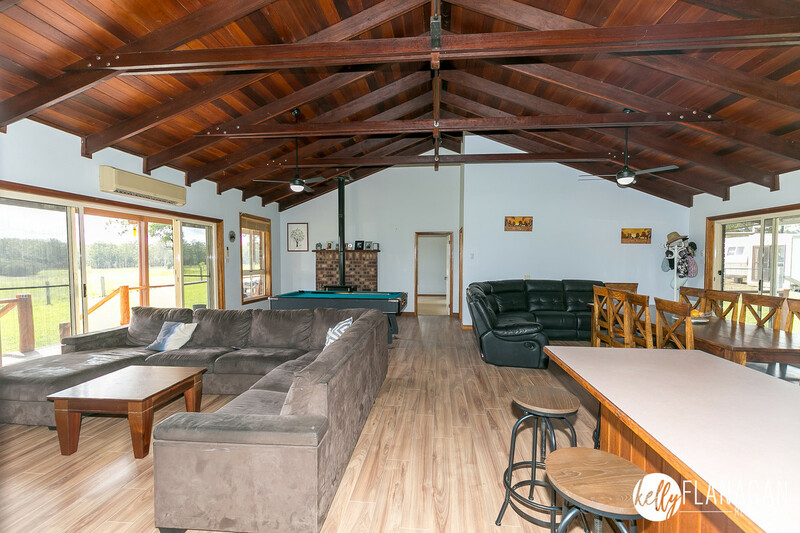 The ceiling of the home is a standout feature in itself – haven’t seen another like it around here – it’s an amazing cathedral timber ceiling with big timber cross beams and wrought iron rods. 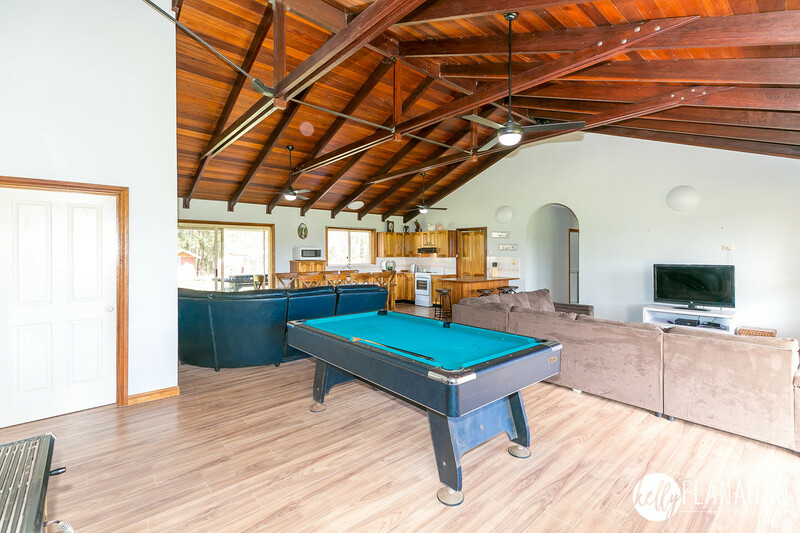 FEATURES: slow combustion fire, reverse cycle air conditioner, huge walk-in pantry room, dishwasher, walk-in robe & en-suite to main bedroom, built-in robes, tiled floors, carpet in bedrooms and ceiling fans. 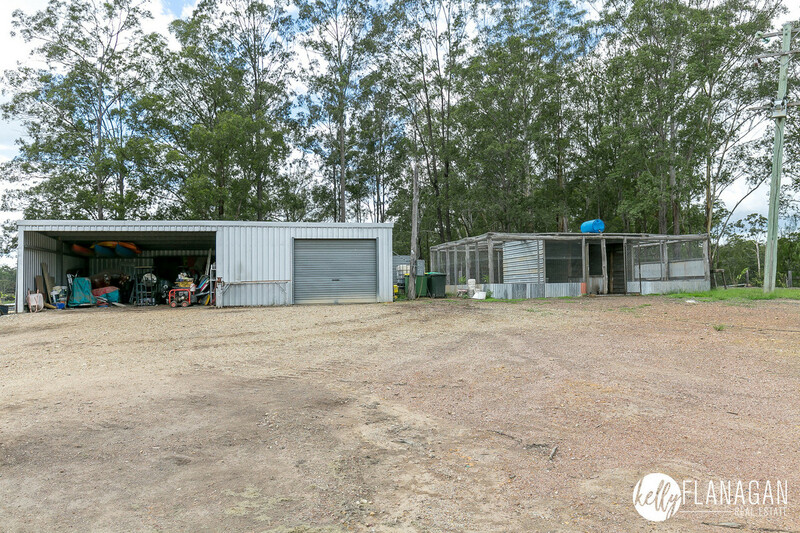 SHEDDING: 10m x 7m steel shed with concrete & power for the cars/workshop + 4bay tractor/implement shed. 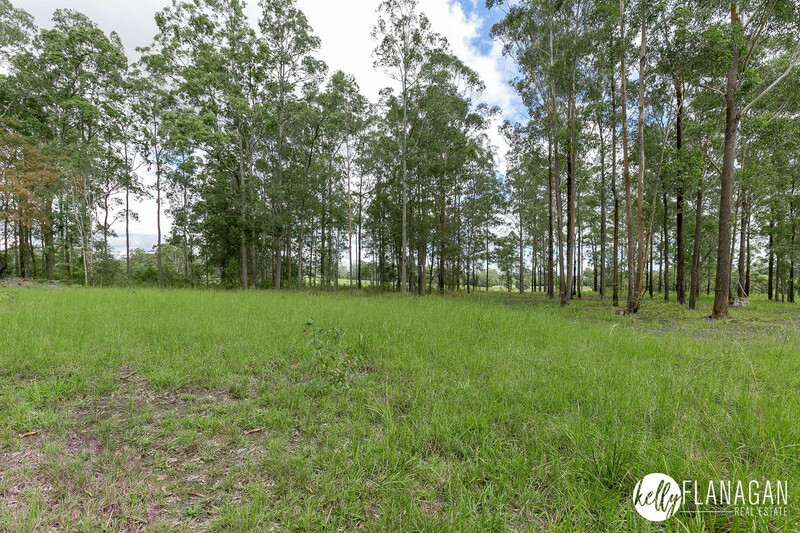 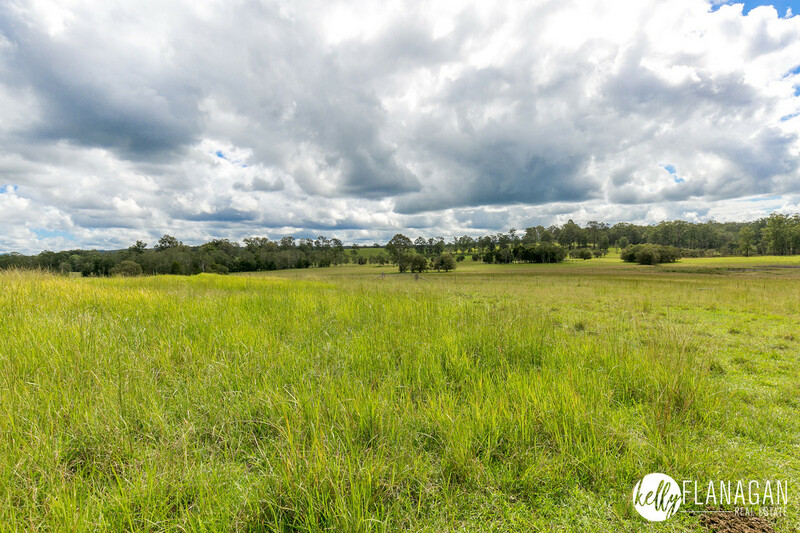 LAND: flat to very gentle slopes, 60% cleared grazing and 40% timber. 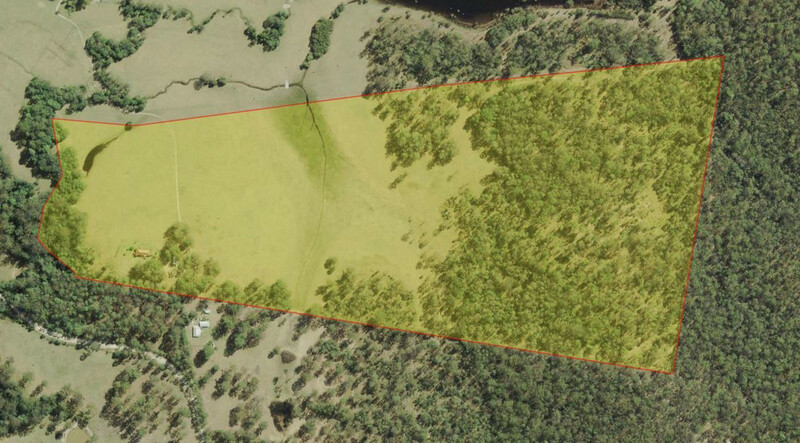 WATER: creek frontage to Collombatti Creek, 3 dams + 2 water tanks totalling around 40,000L. 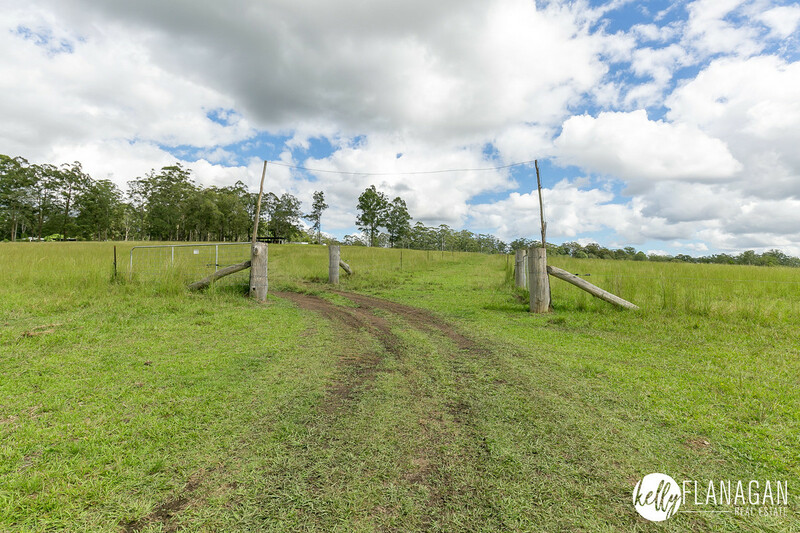 FENCING: excellent fencing all-round. 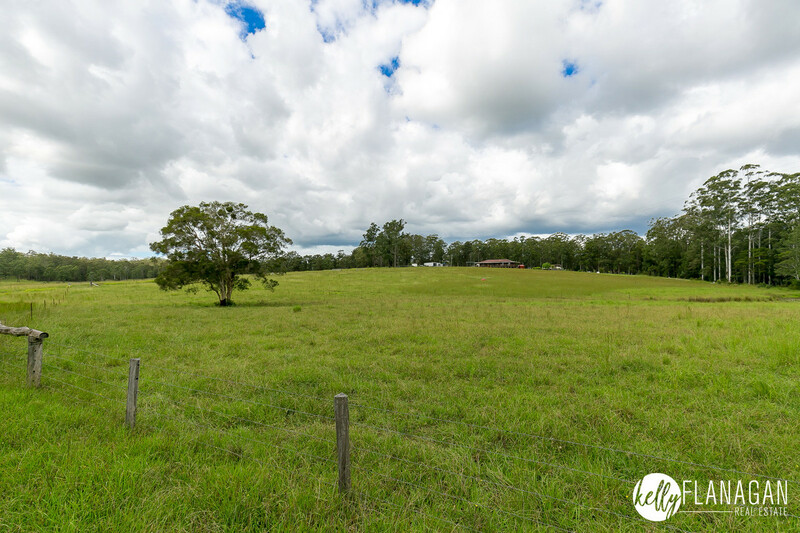 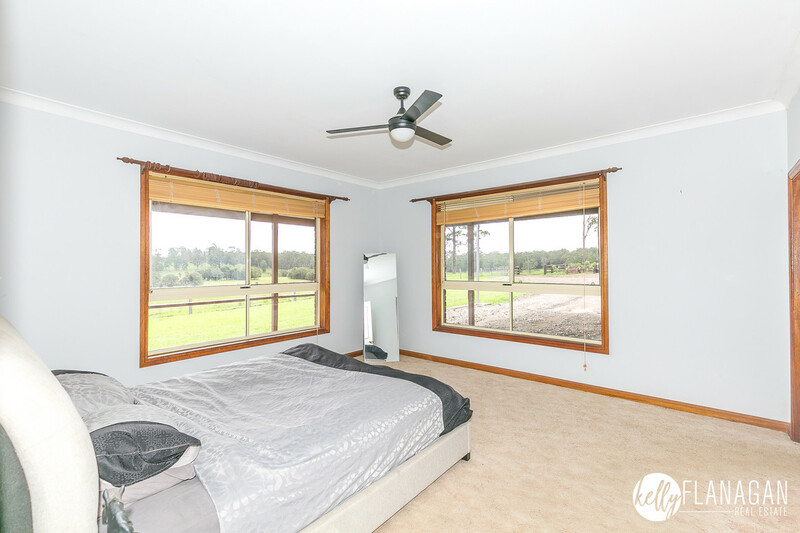 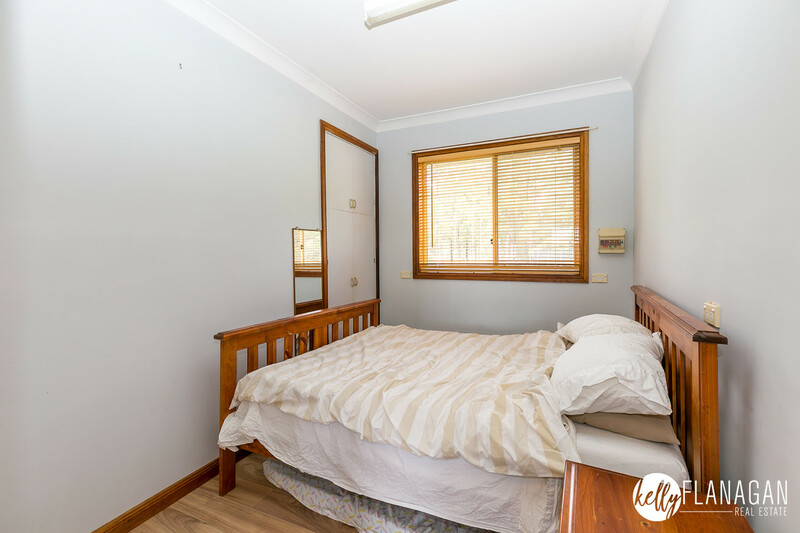 There are 7x two acre paddocks with plain wire for horses, 1 x twenty acre paddock with plain wire and then the bushland paddock that adjoins the State Forest. 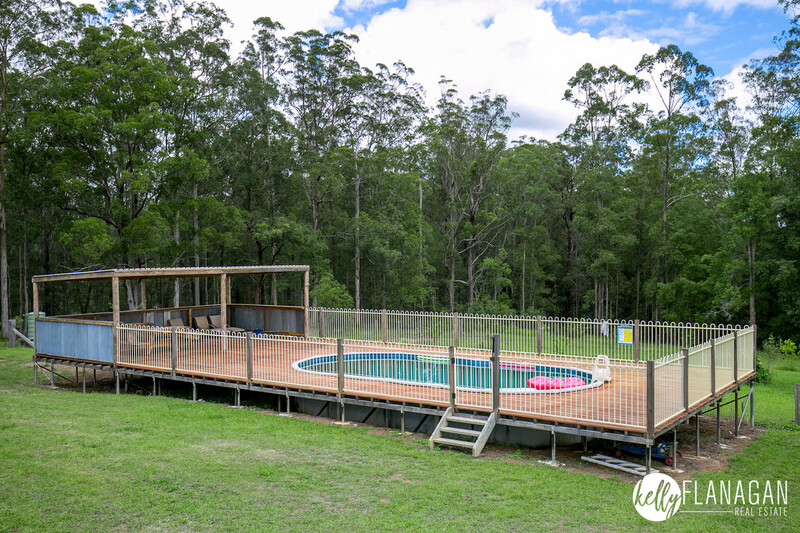 SWIMMING POOL: a huge world of fun with the above ground pool surrounded by a massive hardwood deck and covered entertaining area. 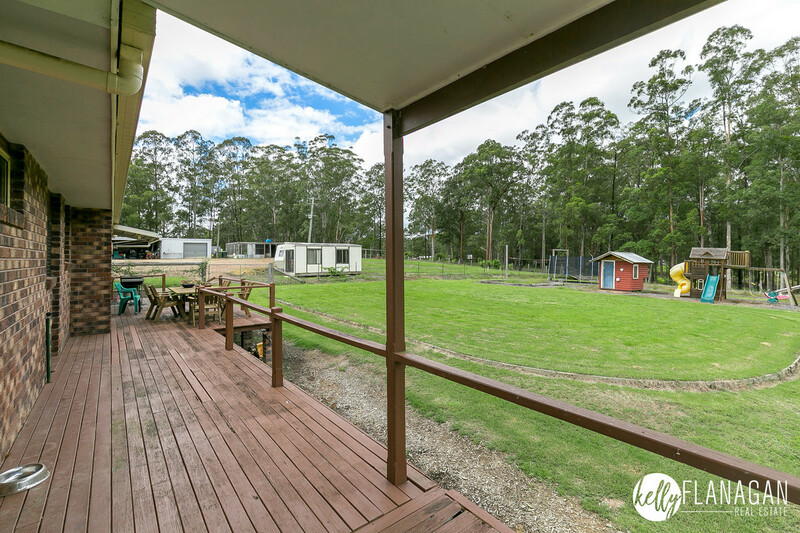 OTHER: old caravan/annexe, huge chook run. 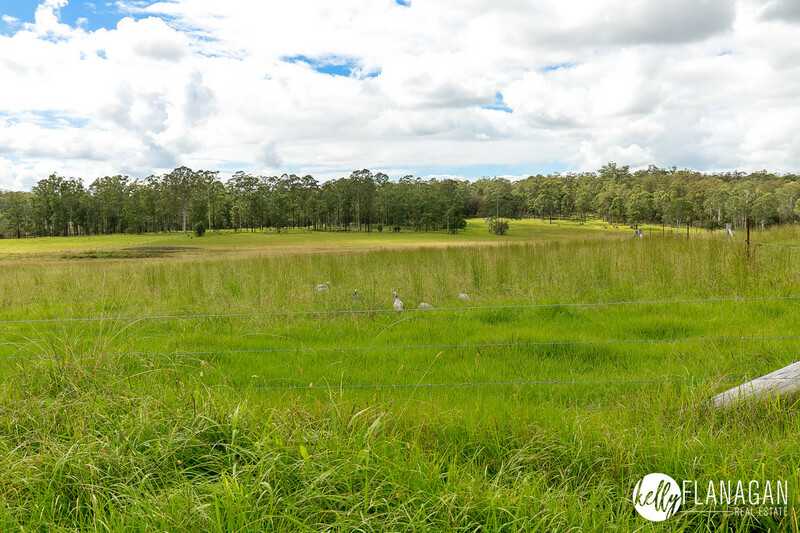 It’s a rare commodity to find such large beautiful acres close to town not alone having a great house to go with it. 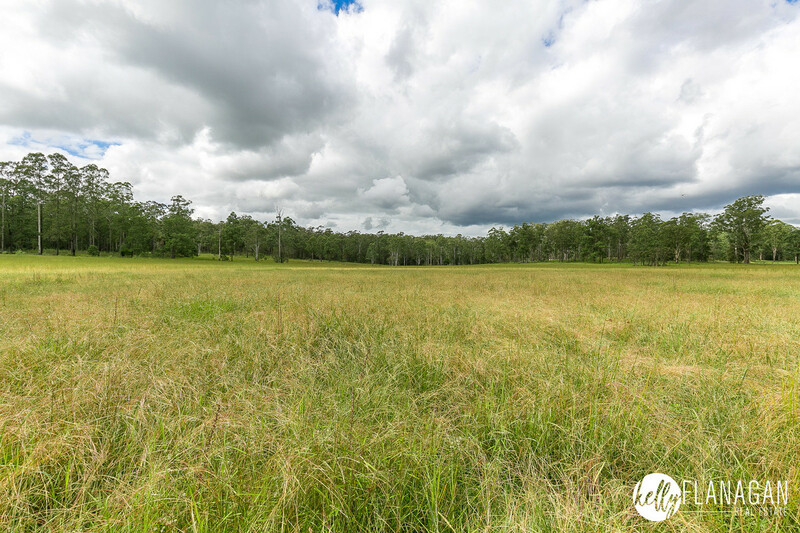 The State Forest at the back just gives you more land to go riding and exploring through. 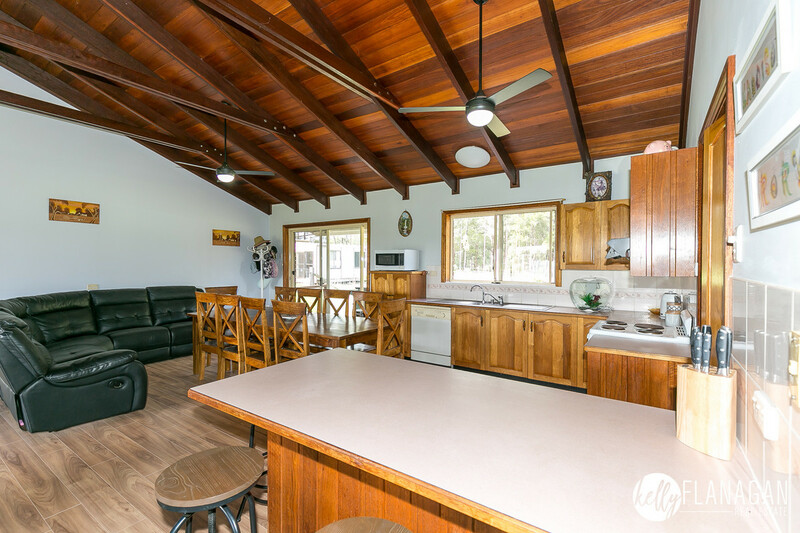 It’s amazing that it is only 15 minutes to Kempsey and under 30 minutes to our world class beaches. 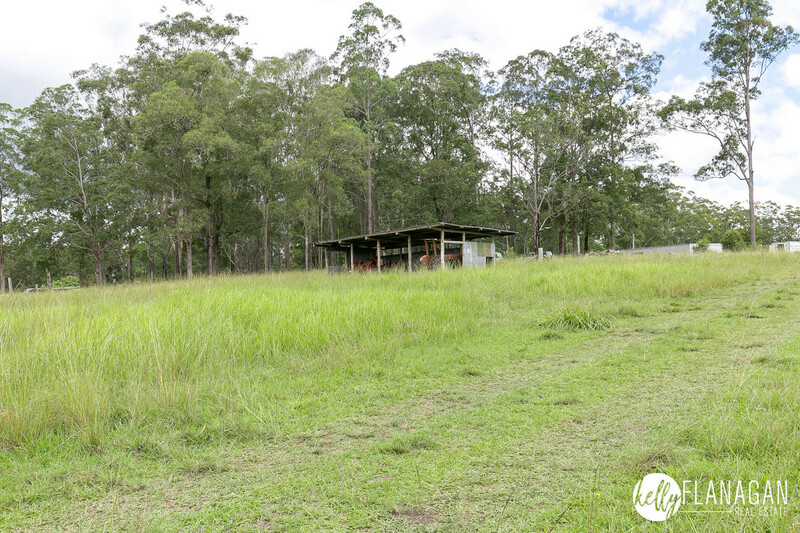 Also, the school bus stops only 100m from the gate! 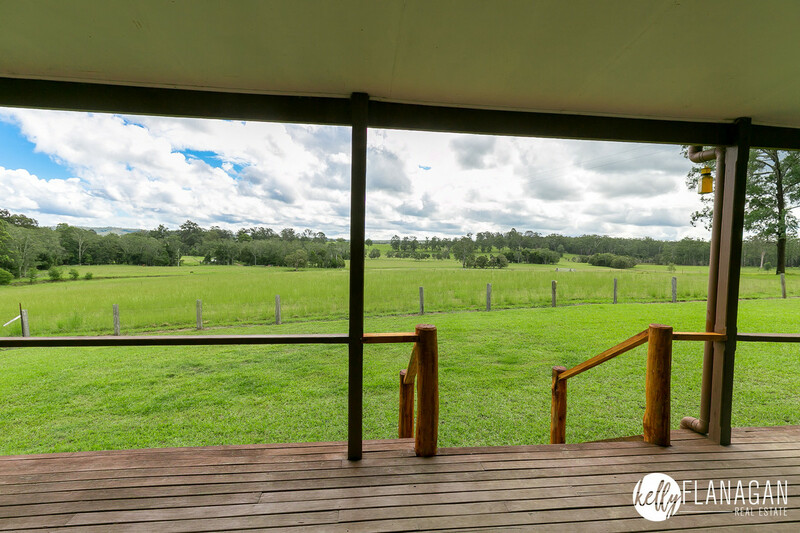 Get yourself ‘the life’. 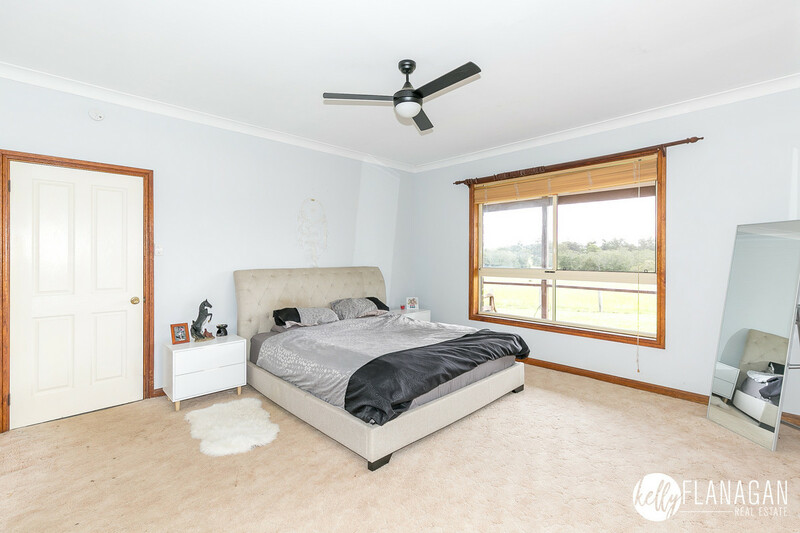 Call anytime, any day – but be quick!